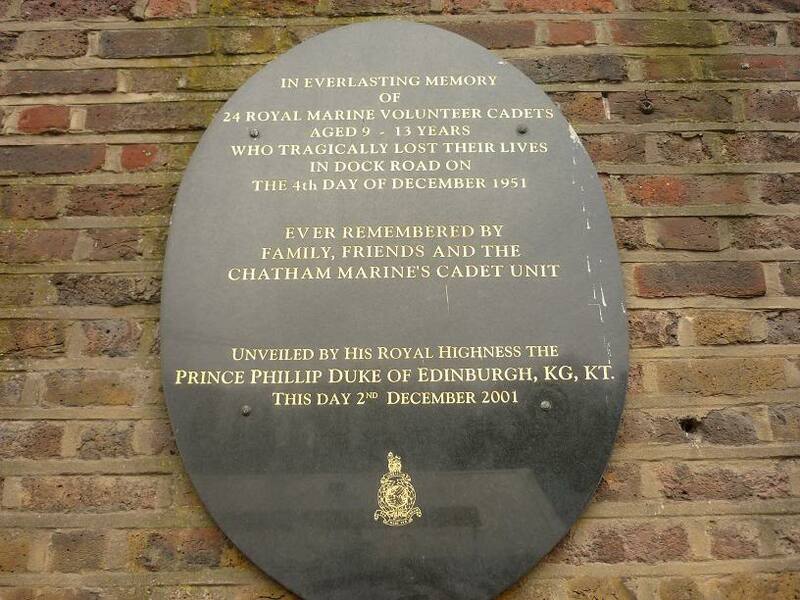 The Chatham Bus Disaster occurred outside HM Dockyard in Chatham, Kent, on the evening of 4 December 1951. 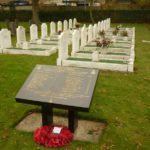 A double-decker bus drove into a company of fifty-two cadets from the Chatham Division RMVCC of whom 24 were killed and 18 injured. At the time it was the highest loss of life in any British road accident. 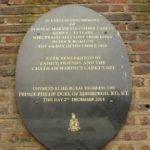 The cadets, aged 9 to 3, were marching from Melville Royal Marine Barracks, Gillingham, to the Royal Naval Barracks, Chatham, to attend a boxing match. The company of cadets were divided into three platoons, with the rear one consisting of new recruits who had not yet received uniforms. They were generally under the command of cadet NCOs and the only adult present was Lieutenant Clarence Murrayfield Carter RM, a regular officer and the unit’s Adjutant. The column was about fifteen yards long and marching three abreast on the left-hand side of the road. The cadets in uniform were wearing Royal Marines standard-issue dark blue battledress and berets, although they had white belts and white lanyards on their shoulders. There were no lights, that not being a requirement at the time. The cadets left Melville Barracks at about 1740 and at approximately 1757 they were marching down Dock Road, just past the gates of the Dockyard. Street lighting was poor and it was reported to have been a very dark and foggy night (although Lt Carter denied this). As the cadets marched passed the municipal swimming pool, in what was a particularly dark part of the street (because a street lamp had failed), they were hit from behind by a bus belonging to the Chatham & District Traction Company. The bus was reported to have been travelling at 15 to 20mph, although Lt Carter and another witness estimated its speed as being more like 40 to 45mph. The driver, John William George Samson (aged 57) had worked for the company for forty years, twenty-five of them as a driver. He was familiar with the route. He had his sidelights on, but not his headlights, but this was perfectly legal and considered to be normal practice at the time. Other bus drivers said that they were using headlights that night and in that location as it was particularly dark. Lt Carter, who was moving up and down the flanks of the column of cadets, told the subsequent inquest that he saw the bus coming and told the cadets to move into the kerb as far as they could, assuming the bus would move around them. Samson told the inquest that he did not see the cadets at all and was only aware he had driven into something when the bus started to wobble as though it “had run over a lot of loose stones or something”, although it was also reported that he felt bumps and heard the high-pitched screams of the cadets. At that point he braked, and his conductress, Dorothy Dunster, called out “What’s happened?” Lt Carter, who was knocked over and dazed but not injured, said the bus continued about fifty yards before braking and another witness said he thought about twenty-five yards. Seventeen boys died immediately and another seven died later in hospital, all but one on the same night. Those who were uninjured were all in the front ranks. 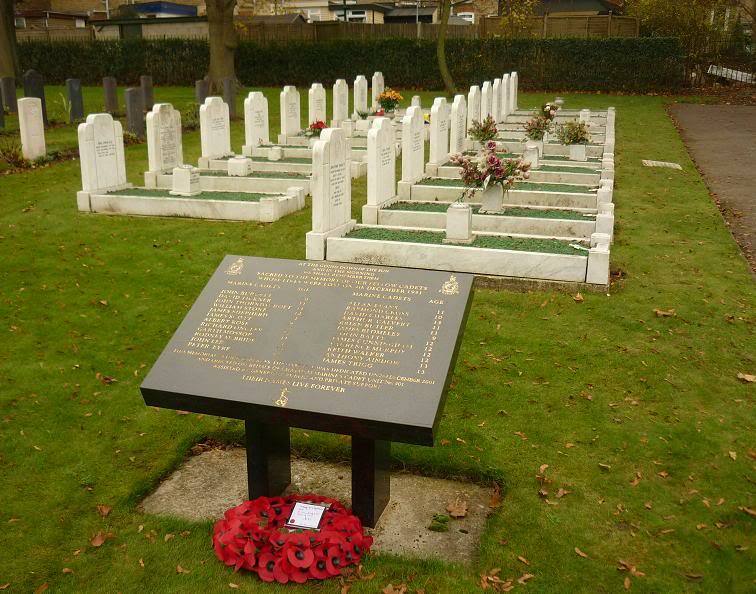 The boys who died were given the privilege of a military funeral; twenty of the boys had their funeral at Rochester Cathedral on 12 December 1951, conducted by the Bishop of Rochester. Thousands of local people stood outside the cathedral and lined the route of the funeral procession to Gillingham Cemetery. Royal Marines guarded the coffins and acted as pall bearers and the ceremony was attended by the Second Sea Lord, the Commandant-General Royal Marines, and the Parliamentary and Financial Secretary of the Admiralty. Three of the boys who were Roman Catholics had a separate funeral at the Church of Our Lady, Gillingham, conducted by the Bishop of Southwark. An inquest was held on 14 December 1951 at the Royal Naval Hospital, Gillingham, before the North-East Kent Coroner. The jury returned a verdict of accidental death. The coroner said that he believed that Lt Carter and the other witness, George Thomas Dixon, were probably mistaken about the speed of the bus and accepted the driver’s estimate of his speed. He did not believe that either Carter or Samson had been negligent in legal terms, although Samson was charged with dangerous driving. He was found guilty at the Central Criminal Court in London, but with a recommendation of leniency from the jury. The judge banned him from driving for three years and fined him £20. The parents of the boys who died received a total of £10,000 compensation from the bus company, which accepted liability under the tort of negligence. The accident resulted in improved street lighting in the Medway Towns and the decision of all three services that a red light would henceforward be shown at the rear of all columns marching along roads at night. This of course was not the first tragedy to affect the VCC in Chatham, following the loss of several Royal Naval Cadets in 1929. Every year on the Sunday closest to the event, the Chatham RMC detachment of the SCC (as the successor to Chatham Division RMVCC) holds a memorial parade at the cemetery in which the cadets were laid to rest. A memorial service was held in December 2001 to commemorate the 50th anniverary of the didaster, attended by most of the survivors of the accident and families of those who died. HRH The Prince Philip, Duke of Edinburgh, Captain General Royal Marines, also attended as did representatives from the other Divisions of the RMVCC.